We can still be contacted at our email address nbasociety@gmail.com or contact us directly at 778-281-BEAR. Thank you for being a part of our Garbage Audit Program. 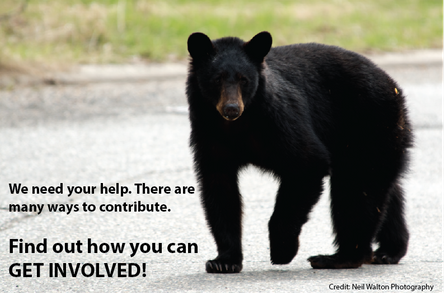 Please help us keep people and bears safe. 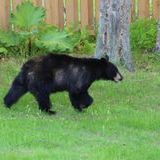 Waiting until the morning to put out garbages means that bear are less likely to be attracted into your neighbourhood by tempting smells. 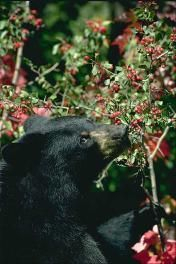 Learn more about managing attractants. Another good reason to wait till the morning: The Garbage Collection Regulatory Act was officially amended March 5, 2012 meaning garbages are to be put out no earlier than 4am on the day of pick up. If you were involved in our Garbage Audit please take a minute to fill out our short survey. 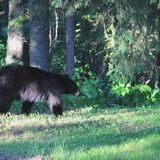 Bears that are posing a threat to people or damaging property should be reported.